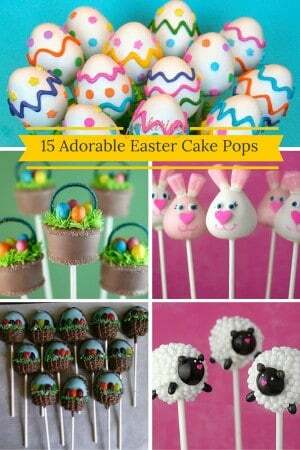 Who doesn’t love fudge? 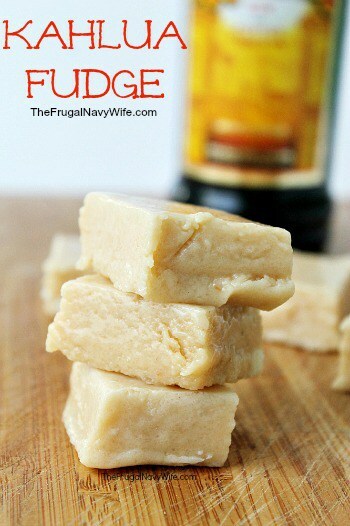 Simple homemade fudge is a great way to enjoy the taste of home and share a treat to say “thank you”. 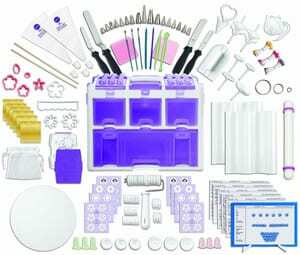 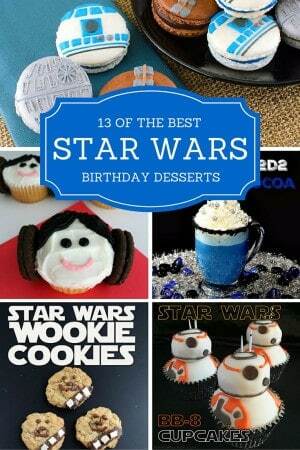 Below are some fun ideas to make the best ones. 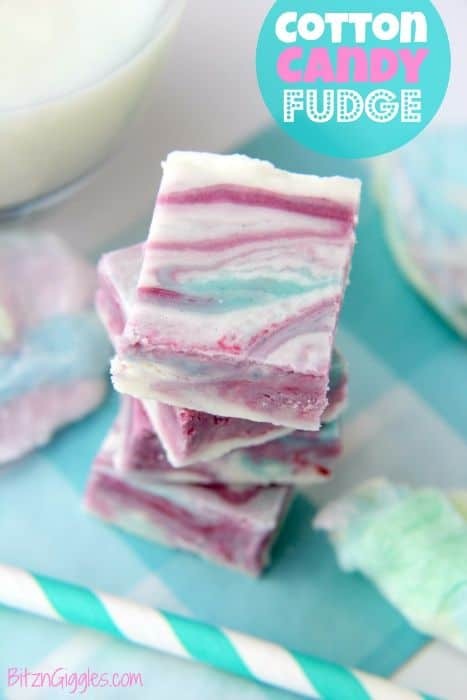 The pink swirls of food coloring and a packet of blue cotton candy frosting mix give this fudge its distinctive look. 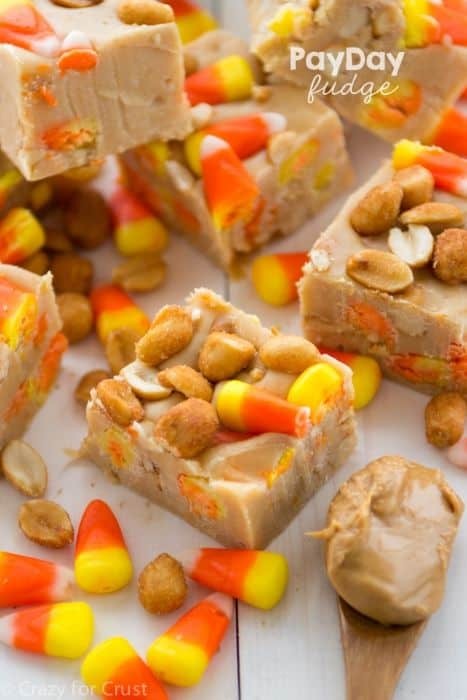 This peanut butter fudge shares the flavor of the candy bar that shares its name, thanks to the addition of peanuts and colorful candy corn. 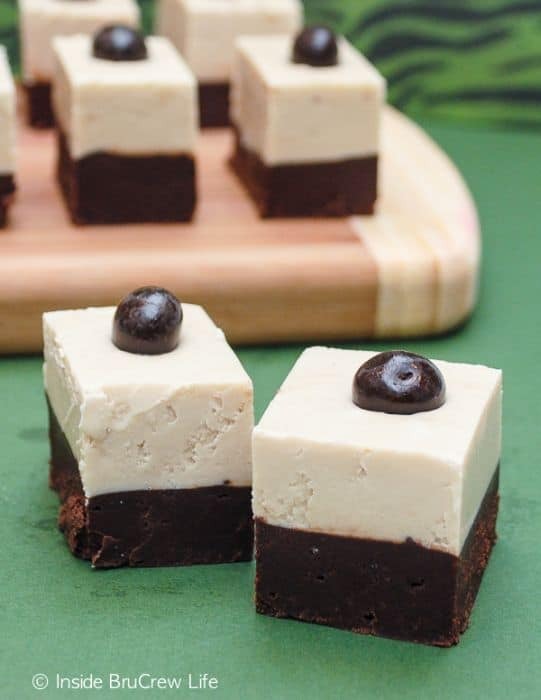 This fudge is easy to make, looks lovely, and is topped with a tasty chocolate covered coffee bean. 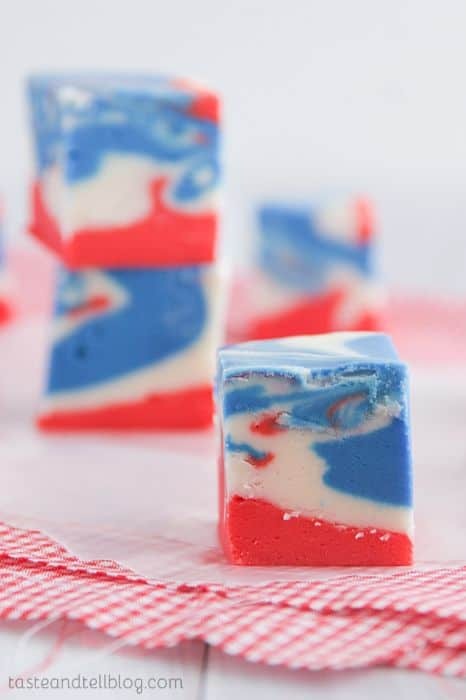 Adding red and blue food coloring to vanilla fudge makes the perfect treat for anyone wanting to celebrate Independence Day in style. 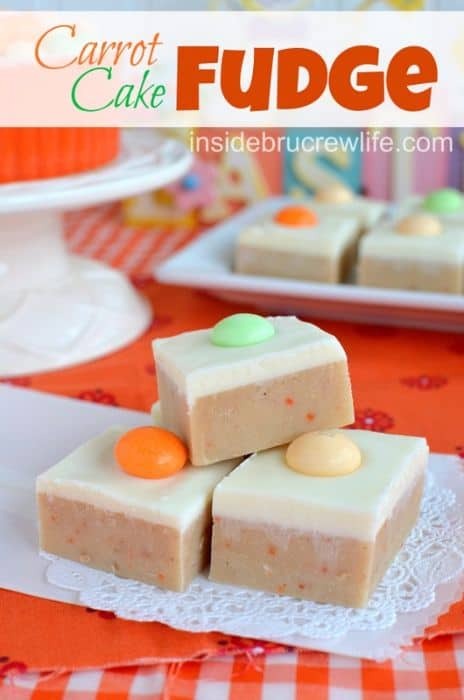 This new twist on carrot cake uses a dry mix for the traditional flavor, has a cream cheese fudge layer to replace the usual icing, and is even topped with Carrot Cake M&M’s. 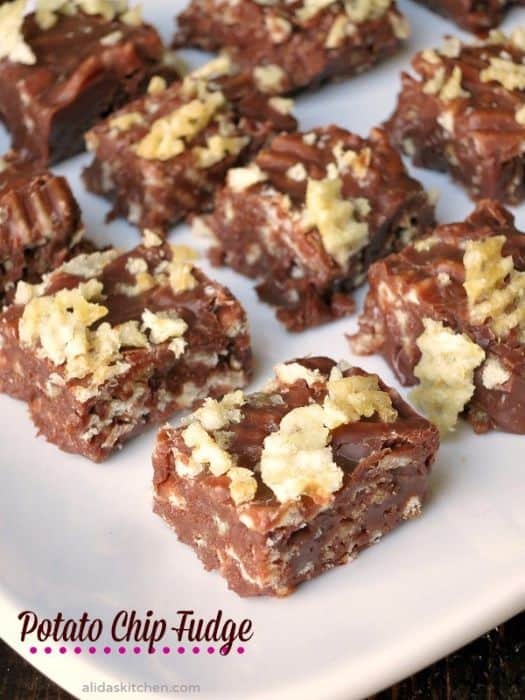 This addition of potato chips to this simple chocolate fudge gives it a delicious salty crunch. 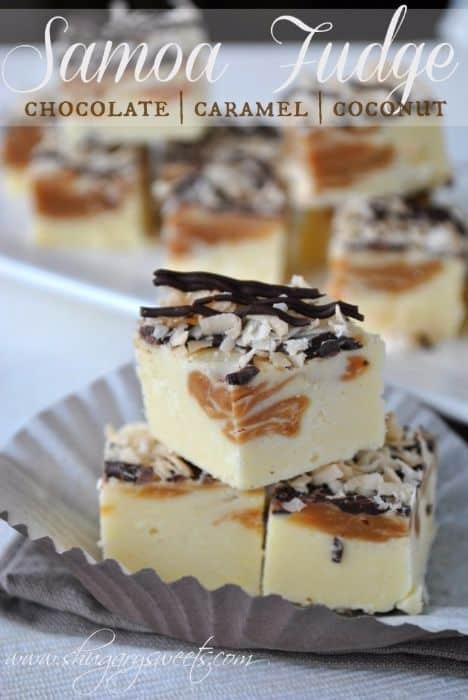 The creamy coconut flavor of this fudge comes from a simple pudding mix, and the chocolate shavings and toasted coconut make it look like the cookie it’s been named for. 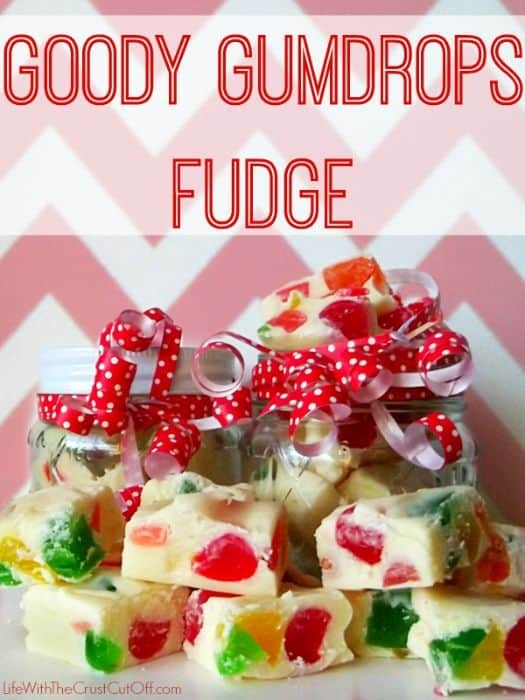 Bits of colored fudge mixed together gives even the most modern individual a small glimpse of the free-spirited 60’s. 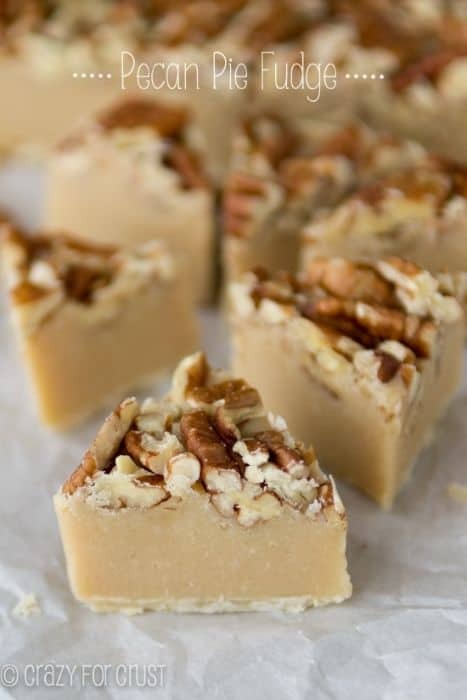 The addition of a crust to this treat take it from tasty fudge to a delicious fudge pie, complete with a crunchy pecan top. 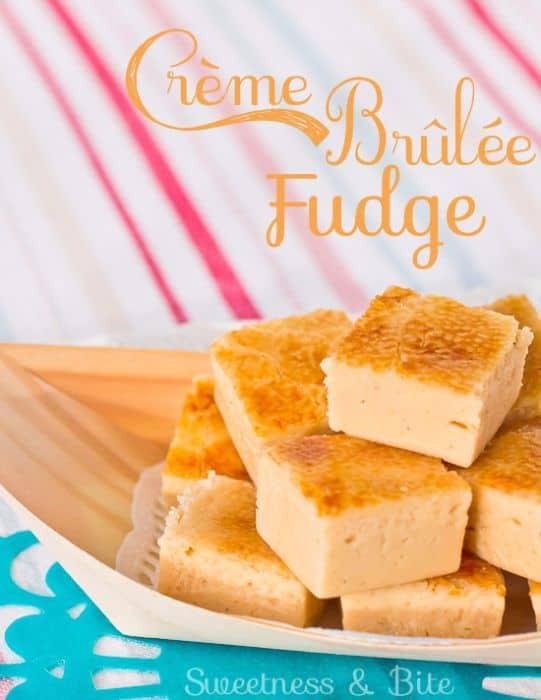 A sprinkling of caster sugar heated with a culinary torch gives this fudge the caramelized top its namesake is known for. 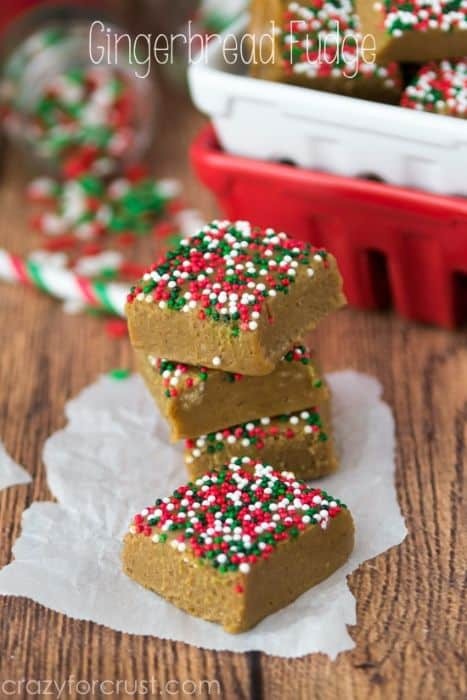 This tasty fudge puts a new twist on gingerbread, with a soft doughy texture that can be formed into the adorable gingerbread men found on any Christmas cookie plate. 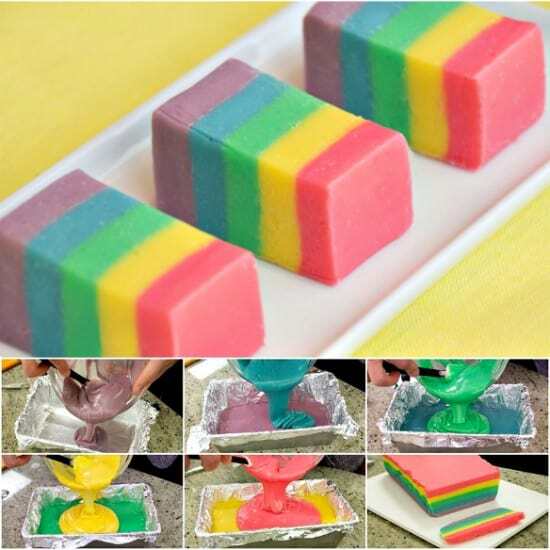 Though each layer must be made separately, they can all be melted and layered quickly in the microwave, making this colorful treat quite easy to make. 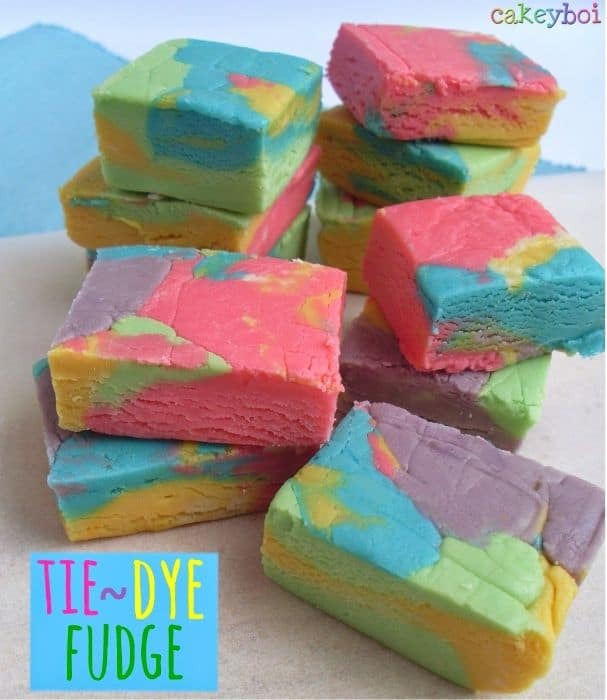 With only a few ingredients, a microwave, and a few minutes of time, this colorful fudge can be enjoyed for the holidays, or as a weekend treat. 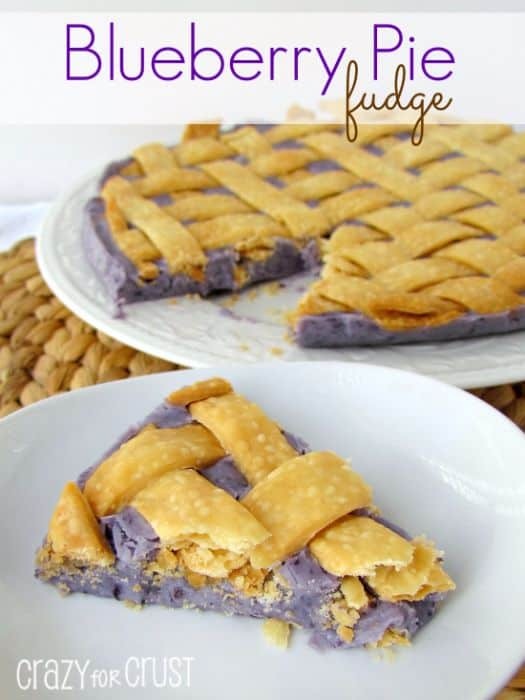 This fudge is so easy to make, using only blueberry pie filling and white chocolate chips, and finished off with a ready-made pie crust for a pretty lattice top. 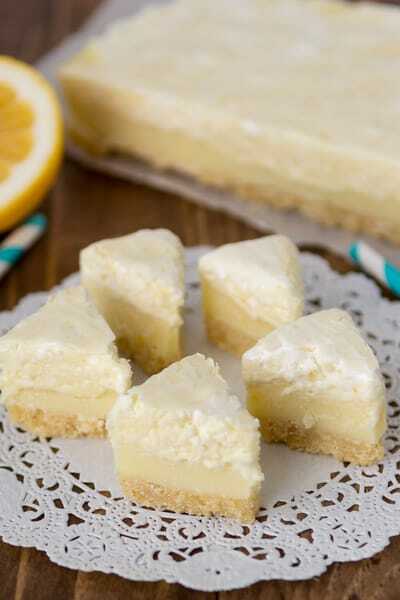 This is an excellent mimic for the traditional pie, complete with a shortbread crust, a lemony center, and a lighter fudge layer to replace the meringue topping. 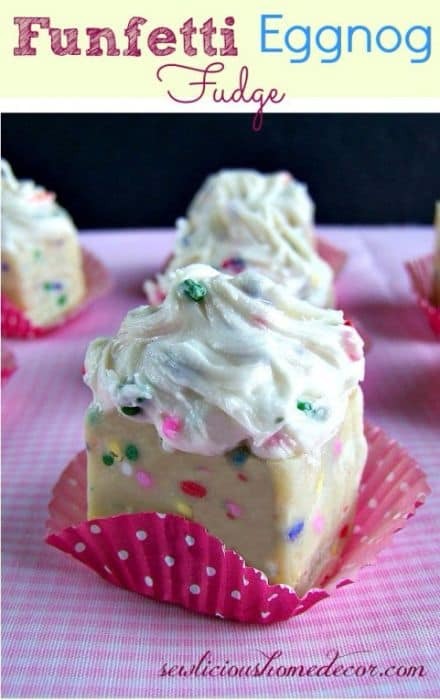 The use of Eggnog makes this the perfect holiday fudge, but the Funfetti sprinkles say it’s a treat for any time of year. 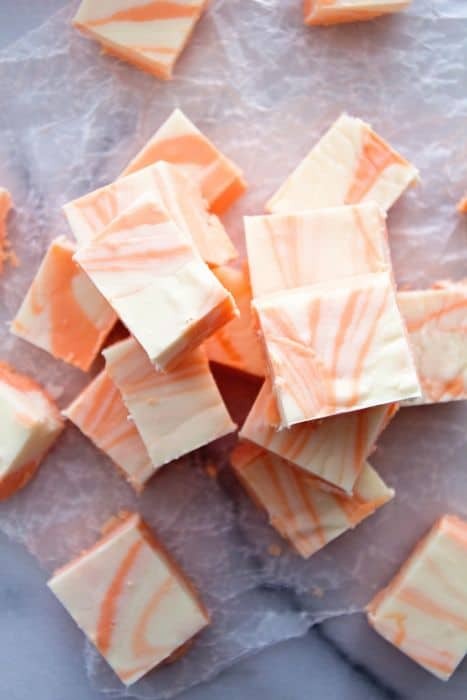 This fudge is easy to make, using a bit of orange extract for its delicious flavor, and food coloring for its vibrant look. 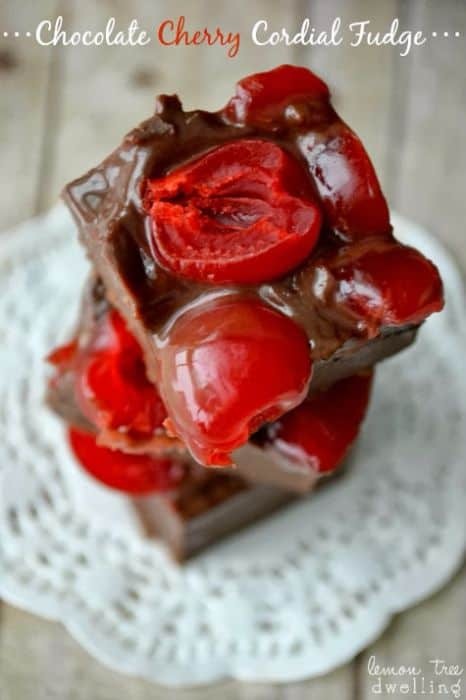 For those who adore chocolate-covered cherries, this delicious fudge is an easy way to enjoy them at home, any time of the year. 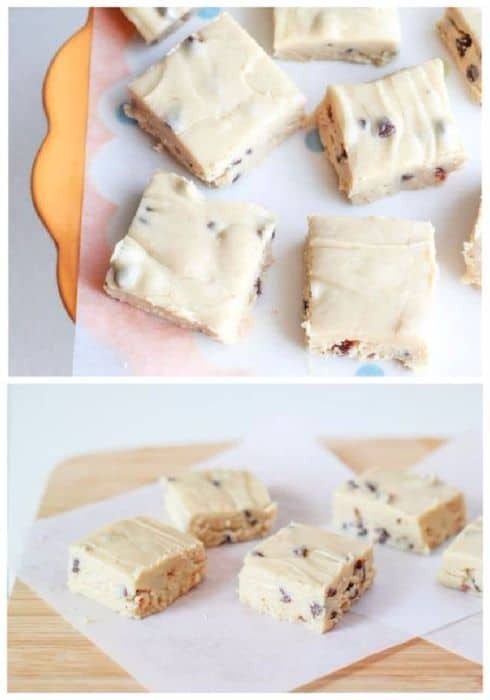 There is nothing better than the taste of raw cookie dough, and this fudge matches the flavor perfectly, without the concern of eating raw eggs. 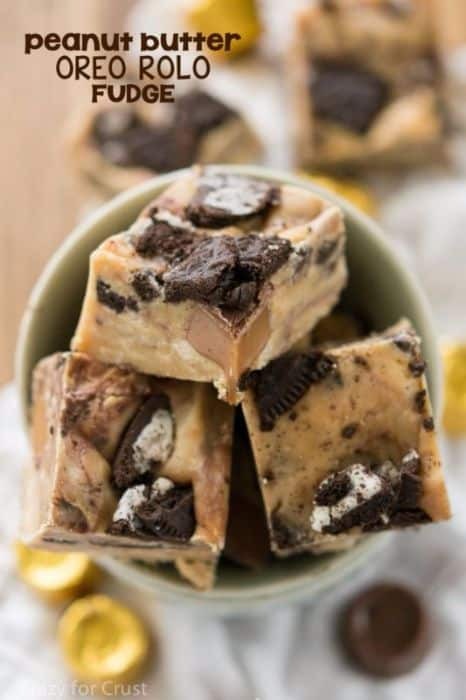 Peanut butter fudge is delicious on its own, but add in chopped Oreo cookies and Rolos, and it becomes a little piece of heaven. 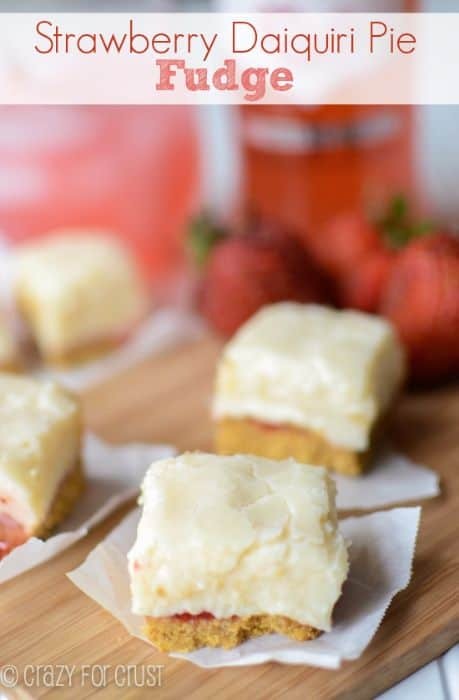 This fudge combines the crust of a pie and the liquor of a cocktail, to make it a very unique dessert, though not exactly kid-friendly. 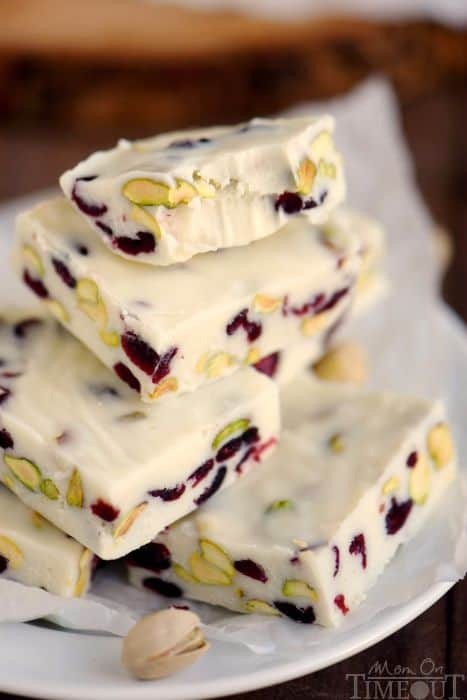 This fudge only takes 3 minutes to make, and the combination of green pistachios and red cranberries create the perfect Christmas-colored treat. 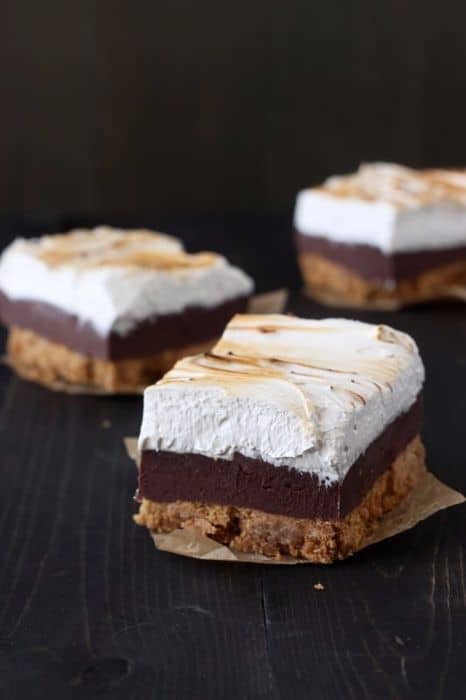 Though the homemade marshmallow topping takes longer than toasting a real marshmallow, the taste of this 3 layered fudge will relieve a S’mores craving, no matter the season. 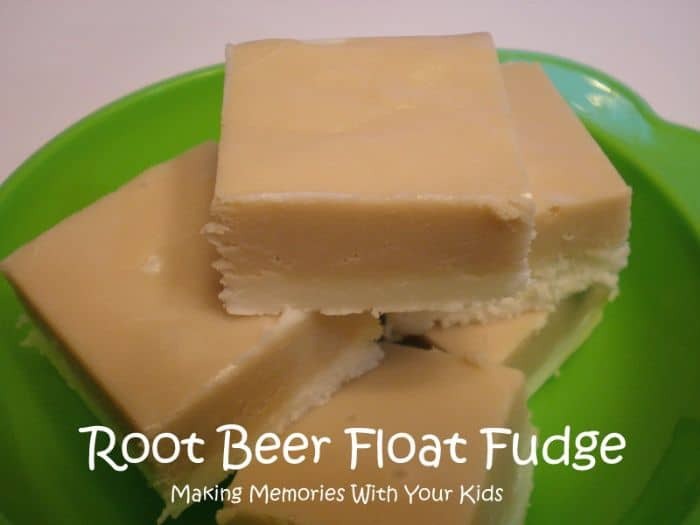 The Kahlua in this fudge adds a hint of coffee-flavor to this sweet treat, but ensures it is only to be enjoyed after the kids are gone to bed. 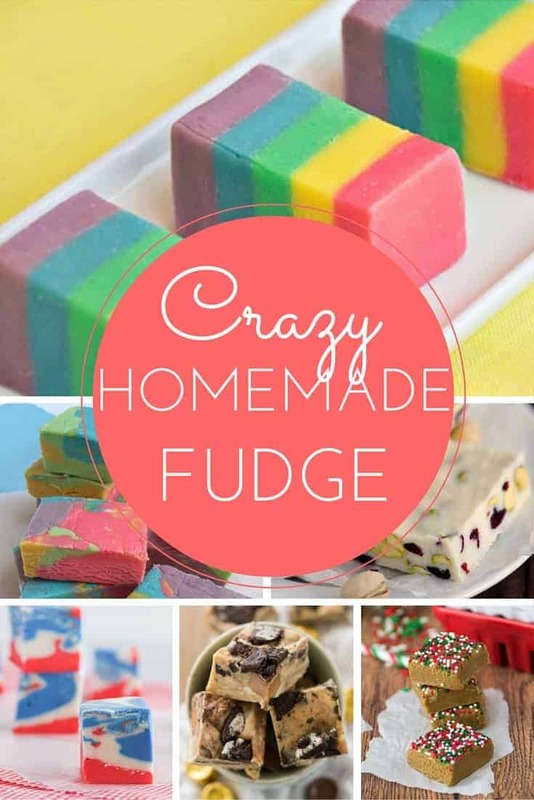 There are so many types and flavors of fudge out there that even the pickiest eater will be able to find at least one they like, and the simplicity of the treats listed here means they should all turn out beautifully, to delight everyone who is lucky enough to receive a taste.